Thank you very much for this informative article…this integrated approach of addressing demographic, health, family planning and environmental issues at the community level and enlisting active involvement of local community members makes complete sense….and note that there is an important education process going on as well!! I am wondering over what period of time this work/experiment occurred? Please keep me informed…buck627@gmail.com Thank you, Craig Buckley, M.D. Thank you for the encouraging remarks, Dr. Buckley. In response to your question, the field research took 6 years to generate statistically significant results. Another 2+ years of desk work were required to verify and analyze the data, document the methodologies and findings, and prepare the journal article which went through several revisions based on feedback from both internal and external peer reviewers. PATH Foundation Philippines has since adapted the approach for use among communities living in critical watershed areas of Southern Philippines and exported the model to other countries in Asia (Nepal) and Africa (Tanzania, Ethiopia and Ghana) under USAID's global PHE initiative called the BALANCED Project. What are your hypotheses regarding why the integrated approach was so much more successful? As a marine ecologist, the results presented here lead me to be optimistic for future development in the Philippines, but I wonder what actually allowed the integrated plan to be more successful? Also, will there be continued monitoring of the environmental variables presented? That is, what will be the longer term impacts of the integrated approach vs the single method(s) on coral health/fishing/mangrove destruction? Thank you for your comments, questions and the opportunity to discuss some of our theories about why the integrate approach yielded higher impacts compared to the sectoral-managed programs. 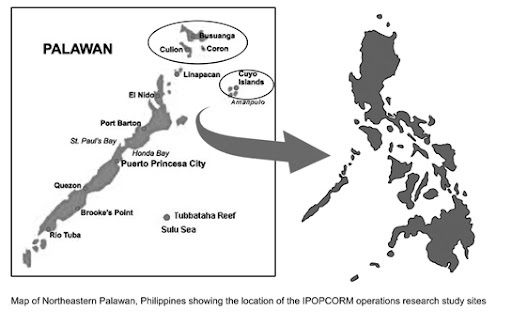 One hypothesis is that the multi-disciplinary interventions applied in the IPOPCORM study areas generated multiple impacts and positive feed-back loops that were mutually reinforcing and created a synergistic effect not seen in the single-sector or one-dimensional program sites. Over the 6-year course of the study, the average number of household members declined in the IPOPCORM site as did the number of full-time fishers and the number of people living in poverty. The same site witnessed a simultaneous increase in the number of environmental stewardship acts and the number of marine protected areas (due in large part to the dedication and vigilance of collaborating Peoples Organizations). The affects of reduced population pressure and reduced fishing effort may have amplified the impacts of protected area management resulting in changes that people could quickly see as the consequences of their actions (which, in turn, served to reinforce desired behavior change at the individual and community levels). A second hypothesis is based on the work of Donella Meadows – a scientist and system analyst who identified 12 levers (places within a complex system) where a "small shift in one thing can produce big changes in everything." One such lever is a society’s paradigm or mindset (a collective idea or unstated assumptions that are sources of systems). Another is the power to transcend paradigms by changing the values and priorities that lead to the assumption in the first place. PFPI’s baseline (2001) surveys revealed the wide-spread perception among coastal respondents that “our community is helpless in protecting its environment.” The project worked to change this negative mindset by encouraging communities to work with and through their local Barangay Development Councils to formulate a new vision and priorities that centered on community empowerment and self-reliance for family planning and coastal habitat protection in order to assure food security from the sea. And IPOPCORM enabled the paradigm shift via the introduction of CRM, fertility management and alternative livelihood tools and methods. Similar paradigm shift was not evident in the single-sector sites which could explain why IPOPCORM was more successful. Lastly, you asked about continued monitoring of the environmental variables in the study area. We concur that such monitoring is needed to assess the long-term impacts of the integrated approach on human and ecosystem health outcomes. 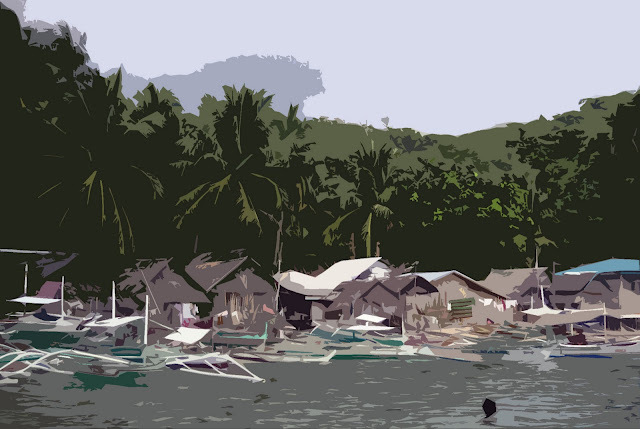 Unfortunately, grant support for PHE research has dwindled over the years and PFPI currently lacks funds to conduct follow-up surveys in the Palawan study sites. However, we are hopeful that this publication will stimulate a renewal of interest among donor organizations in PHE in general and operations research activities in particular.